Quixz eSports - CSGO Gameservers! 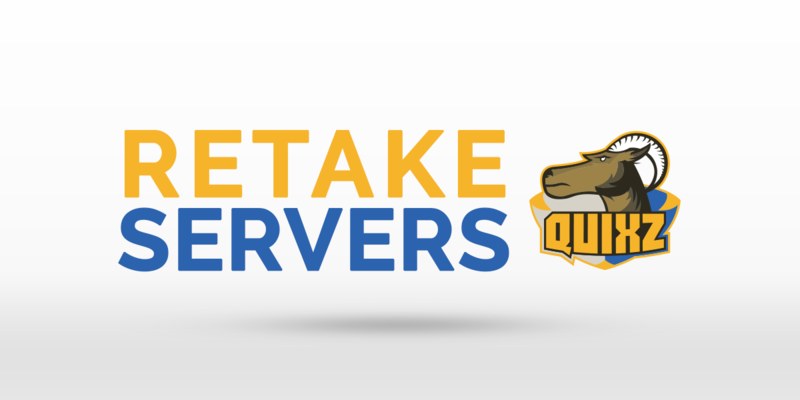 Today we are announcing our first own retake server. We are opening this server both to give our community a place to meet and play on them and to allow our CSGO players to improve their play as individuals and as a team. For now we will only have one retake server but we will be able to provide additional servers within a few hours if there is demand for them. Our goal with this server was to create a server that does not have annoying features other servers do. We intentionally kept the player limit to 5 people, because we believe that 4v5 retakes are not providing the same training 1v2 or 2v3 games can have. It is harder to practice clutch situations or to rely on information play which is a common thing during real competitive games because servers are often becoming crowded after a few rounds. We also decided against using any kind of plugin spamming sounds or plastering advertisements all over the server to allow players to focus on the game. During the next days we will also have a practice server going online which will feature a plugin taking care of all the necessary settings and allowing players to save and share their grenade throws and to place bots. We will post an announcement in our steam group and on twitter once this server is online, so follow us there if you haven't already. If you have questions, feedback or requests or want an overview of all servers when we add new ones in the future you can visit the server forum in our steam group.